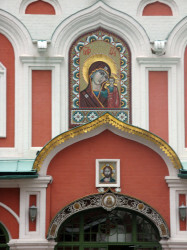 ﻿Orthphoto.net is an online community of amateur and professional photographers who wish to share and exhibit photographs presenting the Orthodox Christian Faith as experienced throughout the world. Through this medium we hope to bring the Orthodox Christian world closer together in their understanding and experience. 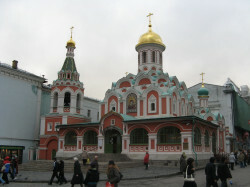 The aim of orthphoto.net is to present the Orthodox Christian Faith, as experienced throughout the world, through photographs of both amateurs and professionals. Each registered user of orthphoto.net will have a free account and may upload photos for publication and critique as well as rate the photographs of other registered users. Registered users may only upload and share photographs which are of their own creation or pictures of which they own the copyright. Orthphoto.net is not responsible for the publication of plagiarized photographs. Registered users may only add photographs to the gallery once every three days. Images should have a direct link with Orthodox Christian life. Therefore, off-topic photos with landscape, people, places, etc. without clear explanation in the title and description about the direct link with Orthodox Christian life will not be accepted. It is not permissible to add pictures and comments which are generally recognized as offensive and immoral in content or which violate the dignity or religious sensibilities of others. The editorial staff of orthphoto.net reserves the right to remove any content that does not comply with the regulations as stated in regulation #7 and #8. In the case of repeated violations of the regulations, the user's account will be closed. The rating system is for the purpose of expressing opinions of a particular photograph. It is prohibited to use the rating system for any other purpose. Failure to comply with this rule will result in the rating and critique being deleted and the registered user’s account being blocked. The editorial staff of orthphoto.net reserves the right to decide whether the contents, critique or rating violates any of the above regulations. Registration on orthophoto.net is to allow a secure and properly functioning community of users. Personal information used in the registration process will not be shared with third parties for commercial or other purposes. * All Orthodox Christians should pray for the return of other Christians to the Orthodox Church. However, we must acknowledge that there are splits and schisms in the Church, some of which have happened for purely political reasons and have nothing to do with Orthodox Christian doctrine. It is not the responsibility of the orthphoto.net team to be a judge in these situations. 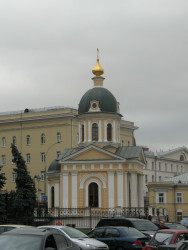 Therefore, orthphoto.net can only accept photos of clergy, church buildings, the faithful and their celebrations which are members of the canonical Orthodox Church as recognized by the Autocephalous Orthodox Churches. 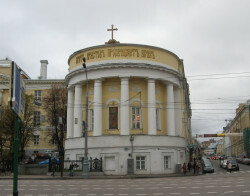 Orthphoto.net accepts photographs of buildings built and consecrated by canonical bishops although they do not presently belong to the canonical Orthodox Churches but they still have the obvious signs of Orthodox Christian heritage. 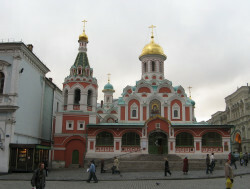 Orthphoto.net accepts photographs presenting the Christian Church before the Schism.